Mostly cloudy. High 64F. 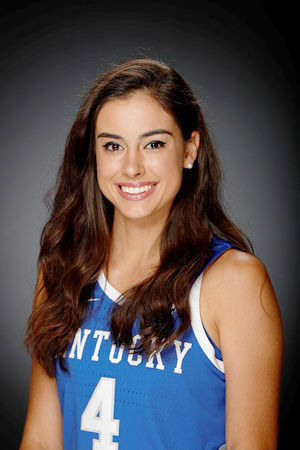 Winds light and variable..
LEXINGTON, Ky. – University of Kentucky senior guard Maci Morris has been tabbed one of 30 women’s basketball players nationally to the Citizen Naismith Trophy Midseason Top 30 Watch List, making her a strong candidate for national player of the year. The midseason team includes 30 women’s players representing 20 colleges in seven different conferences across the nation. On March 4 the competition will narrow as the midseason team of 30 becomes 10 national semifinalists. The four finalists will be announced on March 22 and the 2019 Citizen Naismith Trophy for Women’s Player of the Year will be announced on April 6. Morris is having a great senior season averaging a team-high 16.1 points per game while hitting a team-best 60 3-pointers. The guard has scored in double figures in 19 games, including eight games of 20 or more. Morris’ best game came at Tennessee where she played 31 minutes before fouling out and scored 27 points with four 3s, three rebounds and three steals. The guard scored 25 first-half points against Morehead State which is the most in the first half by any UK player since at least 1982-83 (prior halftime statistics are incomplete before that). Morris ranks high in the league in several categories this season, including sixth in the league in field-goal attempts, seventh in field-goals made, seventh in points and ninth in points per game. The guard has shown she is one of the best shooters in the nation, sitting ninth national and first in the SEC in 3-point field-goal percentage at 45.1 percent. She also ranks second in the league in 3s made per game. In her four-year career, she has 1,580 career points to rank eighth all-time, while her 237 career 3-pointers made ranks second all-time. Morris has a career 3-point field-goal percentage of 40.9 percent which is first in program history and her career free-throw percentage of 85.7 percent is second in program history.